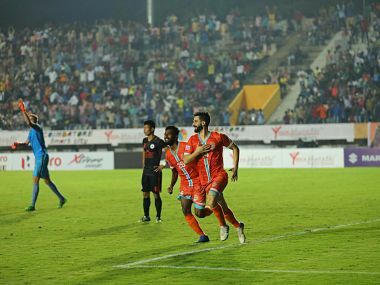 Seven I-League clubs, including defending champions Minerva Punjab, will meet on Sunday to discuss their future course of action after the All India Football Federation decided to cut down the number of matches to be telecast live. 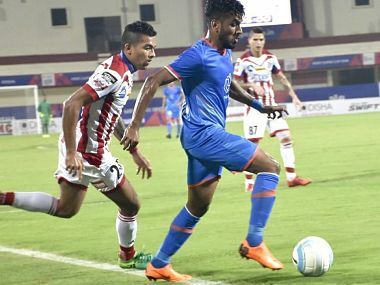 Debutants Real Kashmir FC pepped up the I-League title race, inflicting the season's first defeat on table toppers Chennai City FC following a late penalty conversion by Abednego Kofi Tetteh in Coimbatore on Saturday. 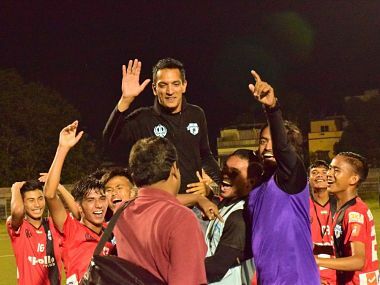 For unbeaten I-League leaders Chennai City FC, it will be a matter of regaining their momentum. 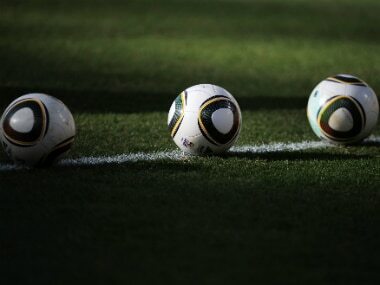 For the rest, it will be about getting their act together. 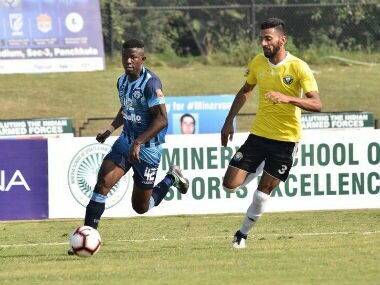 Defending Champions Minerva Punjab and Shillong Lajong FC played out an entertaining 2-2 draw in an exciting I-League encounter in Shillong on Friday. 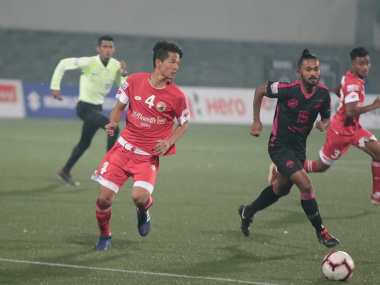 Debutants Real Kashmir on Wednesday stunned holders Minerva Punjab by a solitary goal in an I-League match at the Tau Devi Lal Stadium on Wednesday. 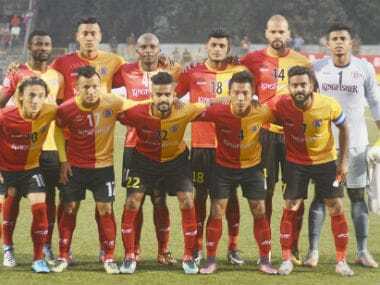 East Bengal, who were dethroned in the Calcutta Football League by arch-rivals Mohun Bagan recently, cannot register any new player till the end of the first transfer window next year. 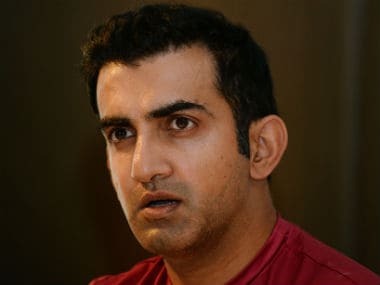 The All India Football Federation Disciplinary Committee on Monday said this was the fourth offence committed by Ranjit Bajaj within a span of a year. 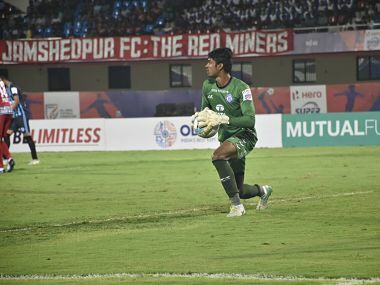 Strikes from Hugo Boumous (70th) and Brandon Fernandes (77th) helped the Goans book a a quarter-final spot. 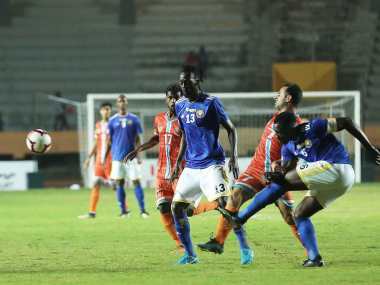 Jamshedpur FC were through to the last eight of the tournament's inaugural edition when Gagandeep Bali's shot was stopped by Sanjiban.